Sometimes a pleasant surprise shows up unannounced in my wine locker. 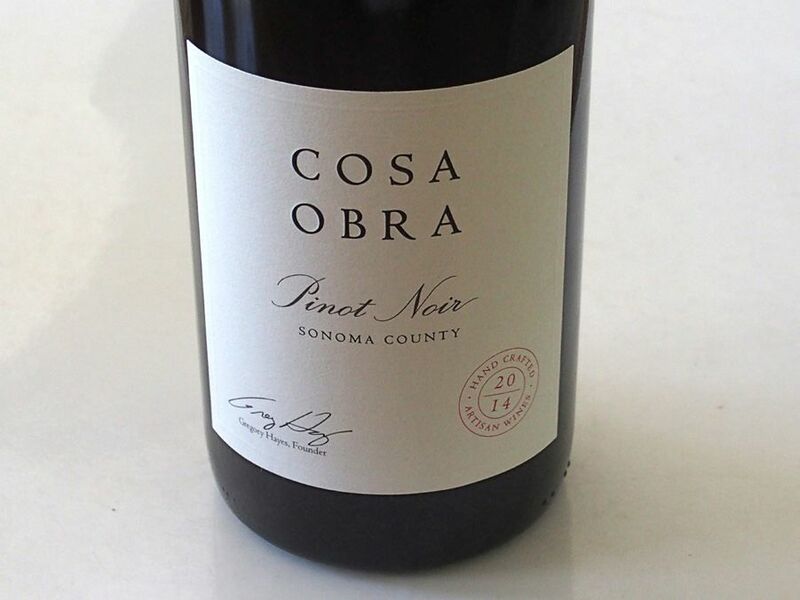 This was the case with Cosa Obra Pinot Noir, from a producer I had not known about. 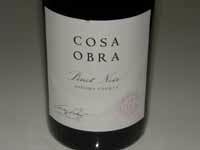 The name Cosa (“thing”) Obra “a hand-crafted body of work”) refers to the winery’s thing, what they do, their hand-crafted body of work. Owner Gregory Hayes has over two decades of experience in the wine industry who has chosen to produce small amounts of exceptional wines from unique terroirs. The consulting winemaker is Kent Humphrey (Eric Kent Wines). 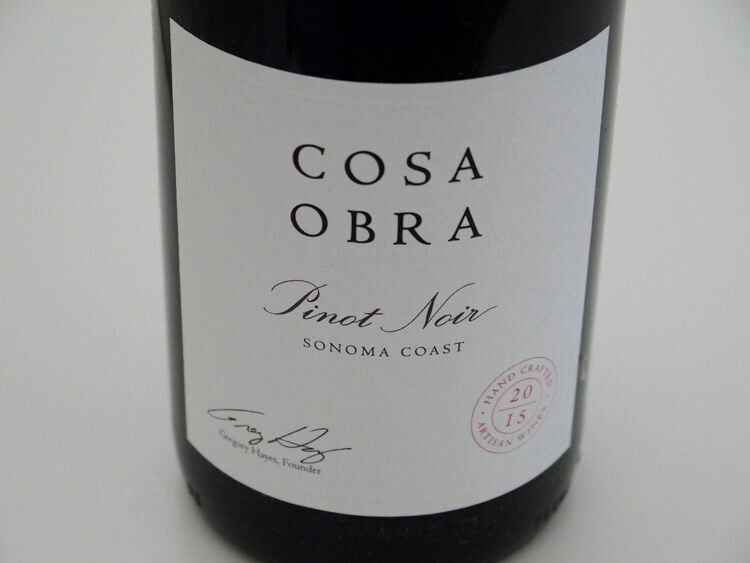 The winery offers a Pinot Noir sourced from the best blocks of vineyards in the Russian River Valley and Bennett Valley regions. A Proprietary Red Blend and a Sauvignon Blanc are also offered. 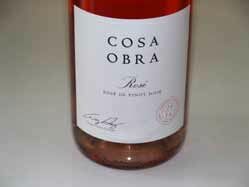 The wines are sold through a mailing list and the winery's online store.